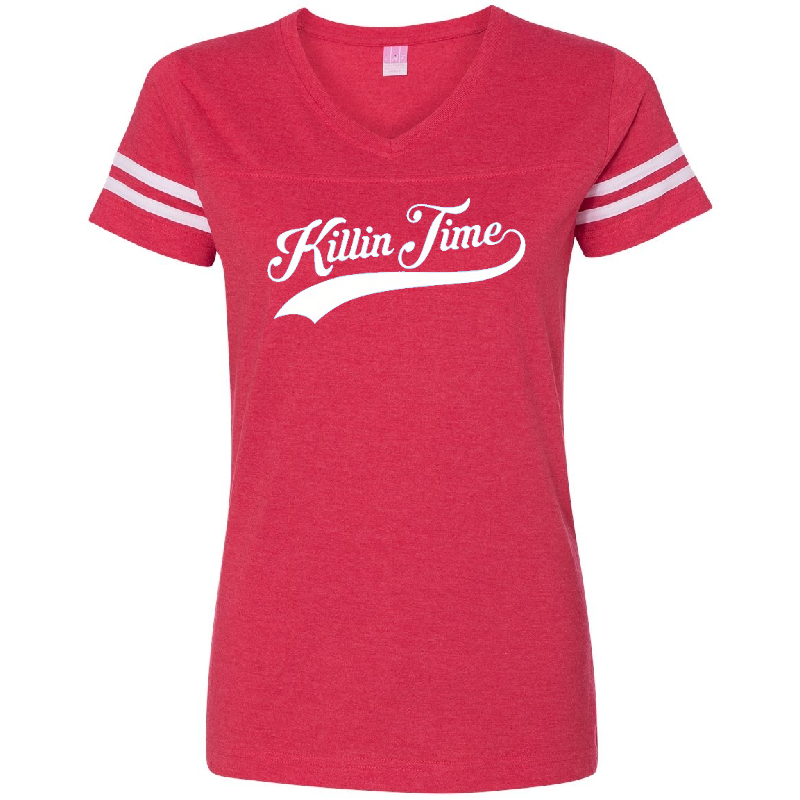 Ladies 4.5 oz., 60/40 combed ringspun cotton/polyester red and white v neck jersey tee. These run a bit small so please check size chart. Song title, Killin Time on the front and Clint Black logo on the back. 18" 19" 21" 23" 25"